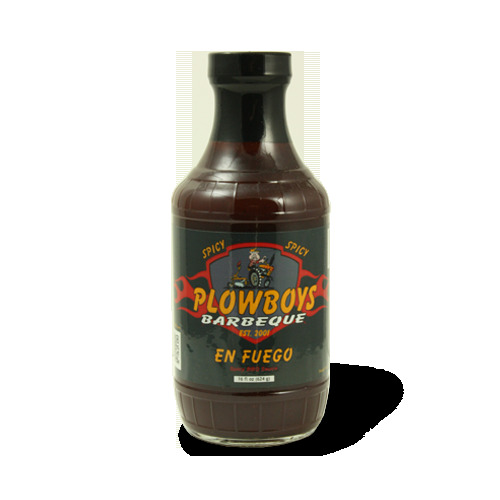 Plowboys Barbeque En Fuego Spicy Sauce 16 oz. En Fuego. Loosely meaning "on fire", this kicked up cousin of Plowboys Sweet 180 sauce will add zing to just about anything. It starts sweet and finishes sassy. Pairs well with Plowboys Yardbird Rub or Bovine Bold.